While the coils in our tanks and pods include some of the finest cotton material, there are still applications out there that do not include cotton nor the coil, so users are left to build and construct coils of all kind, from the simplest micro-coil to the most complex. In this article, we’re going to provide information specifically for those that prefer to rebuild, and we’re here to share the best vape cotton money can buy so that your vaping experience is just as satisfying with your wicking material as it is your coils. NOTE: The cotton wicking material listed in this article is a collection of the best and most popular cotton types and brands. The entries are listed in no particular order and have been used to provide information regarding each product specifically. When it comes down to it, cotton is simply that, cotton. 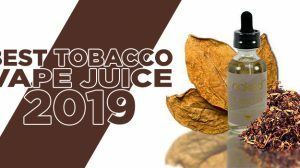 Some do in fact have better quality, some may be easier to use, but all of them are used to carry out the same task, which is to wick e-liquid. TIP: Organic cotton wicking is the industry’s number one choice of material to use to ensure coils stay wet continuously. While cotton may be used to wick the e-liquid, the coils you use will ultimately determine the performance. Along with our list of the best vape cotton money can buy, here’s a list of different coil configurations to try and perfect your vaping experience. Easily the most recognized wicking material on the market, Organic Cotton Bacon V2 by Wick ‘N’ Vape has certainly made an impact when it comes to vaping. While it’s success mostly stems from its incredible marketing capabilities, it’s for sure one of the best vape cotton materials money can buy. It’s a tried and true product that has been proven time and time again by vapers, and remains to be one of the most popular organic cotton wicking brands on the market. 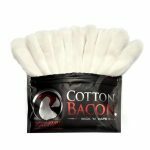 Cotton Bacon V2 comes packaged in a resealable travel sized bag, making it very convenient to use and easy to travel with. Each bag comes with 10 strips of 100% US organic cotton. Wick ‘N’ Vape’s organic cotton meets USP standards of Pharmaceutical cotton and the FDA’s CFR’s for Food Contact. 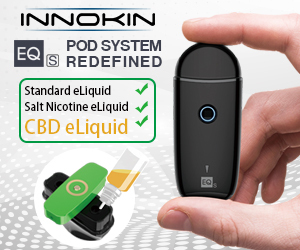 It delivers the cleanest taste that’s capable of enhancing flavor with any e-liquid it’s paired with. While Vapefly Firebolt Cotton may have not been on the scene as long as Cotton Bacon, nor does it have the same reputation, it is still considered the best vape cotton money can buy to a lot of vapers. In fact, RiP Trippers reviewed the product and said it’s the “BEST Cotton For Wicking imo!” — although he says that about most products anyways. 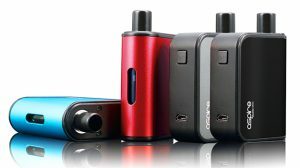 But, it’s true, it is one of the best vape cotton products, and there are many that prefer it over many others on the market. 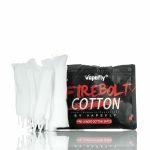 Vapefly Firebolt Cotton is a 100% organic Japanese cotton that has great absorption capability. What people enjoy most about Firebolt Cotton is its size. It offers the perfect amount of cotton to fit a 3mm ID coil, making the process of inserting it into coils extremely easy and perfect each time. Wotofo’s Agleted Organic Cotton has become a favored choice when it comes to cotton wicking. The brand, in general, has gained a lot of popularity over the last couple of years, and it’s partially due to their ability to continue producing some of the best accessories on the market. One of the most impressive parts of Wotofo’s cotton is its choice of cotton, specifically. It chose to utilize cotton with long fibers, allowing it to wick smoothly while also preventing the cotton from being pulled apart easily. These wicks come included with an aglet on each strip and have the perfect amount of cotton that’s ideal for 3mm and 6mm in diameter coils. 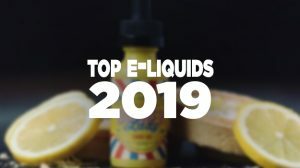 As with any cotton option on this list, the Wotofo Agleted Organic Cotton has great absorption capability and is considered one of the best vape cotton wicking. Native Wicks Platinum Blend is another impressive wicking material that’s become very popular on the market. It’s packaged in a resealable travel sized bag, which makes traveling with it easy, and it’s very convenient to use. 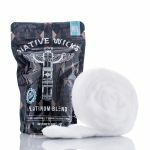 Though there are many incredible options that exist, Native Wicks Platinum Blend has become especially favored due to its large fiber blend, which is great for both high and low resistance builds. Packaged in a resealable bag, you’ll find that Native Wicks Platinum Blend is not only easy to use, but it’s a great wicking material to use for an enhanced taste in flavor with any e-liquid it’s paired with. Claimed to deliver the clean and best taste from organic cotton on the market, The Swag Project Ultra Heat Resistant Cotton is an extraordinary wicking material to use for those advanced builds. It’s scientifically formulated to handle high temperatures, up to 572 degrees Fahrenheit. Each package, which is resealable for convenience, is made of 100% organic materials and its cotton fibers are blended with cellulose fiber without any chemicals being involved. The cotton provides fast absorption, easy separation, and the 1 meter of cotton is incredible when it comes to delivering the true flavor of your e-liquid. Perfection Wicks by Saito Wire Vapors is another awesome option when it comes to wicking. It’s medical grade 100% Japanese Organic Cotton, featuring high durability, a quick absorption rate, and allows for easy separation. 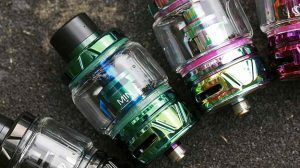 While you may not be hearing about Perfection Wicks all over the web of vape, it’s certainly a wicking material that should be considered. It comes packaged in a resealable bag that makes on-the-go building even more convenient and easy. While generic, Japenese Organic Cotton Pads are the most widely used wicking material on the market. It’s a simple material, never bleached, organically grown pure cotton in Japan, and delivers one of the best wicking experiences for your coils. It’s known for its dark spots on the cotton, which is from the dried natural cotton leaf, further proving that it’s unbleached. 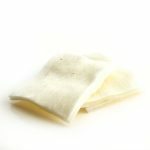 If you’re looking for a good cotton that simply does the job and want to pay less, Japanese Organic Cotton Pads is a choice that should be taken under serious consideration. Ask around, everyone has come to know Organic Cotton Pads as the best vape cotton. Some of the best cotton wicking material, COTN Threads is an outstanding choice when it comes to organic cotton. It’s an American made and manufactured 100% organic pharmaceutical grade cotton with an extraordinary absorption rate. There are a total of 20 pieces that come in its appealing resealable bag, which makes those mobile builds painless. Each strip has two ready-to-use aglets, making it extremely easy to insert the material in coils. 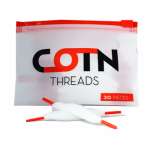 COTN Threads is considered the best vape cotton by many because it features the proper cotton amount to fit 3mm internal diameter coils, making it a perfect fit each and every time. If you prefer cotton wicking with aglets for easier insertion, COTN Threads should definitely be on your radar. Another popular choice among vapers, Kendo Vape Cotton has definitely earned its place on the market. When this cotton material first came out onto the market, everyone that rebuilt their atomizers couldn’t stop recommending it. 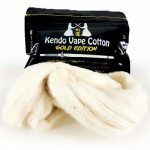 There are some cotton materials that have a slow break-in time or have odd tastes, however, Kendo Vape Cotton does not. It has no break-in time, you experience no odd tastes, it wicks fast, it’s 100% unbleached, 100% organic, has a fast absorption rate, and it’s heat resistant. 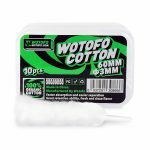 If you’re looking for a high-quality cotton wicking material, this may very well be some of the best vape cotton on the market to buy. 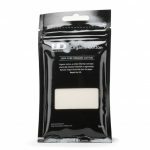 While many may not consider the UD Japanese Organic Cotton to be the best vape cotton on the market, the truth is that it works flawlessly if you’re in need of wicking. It does the job and does it fine, especially if you’re on a budget. This cotton comes in a package with five pieces of webbed organic cotton. Designed to deliver flavor fast, each piece is very slim, making it easy to cut and wick, and becomes plush as soon as e-liquid is applied to form a bond with your coils. UD’s 100% pure organic cotton is non-chemically treated, bleached or pigmented, and should be a solid contender when considering which is the best vape cotton for you.